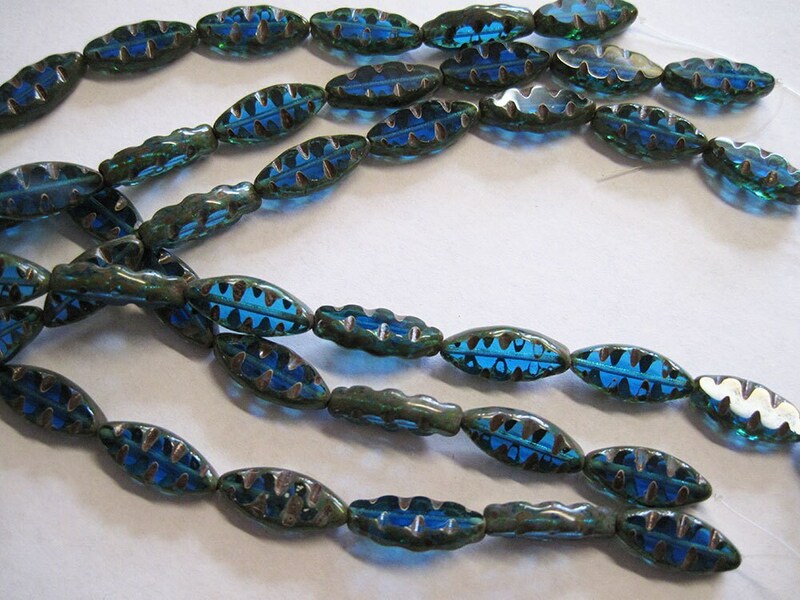 8 aqua with Picasso carved Czech pressed glass spindle beads! Beads are 17x8mm. very nice quality - fast shipping -- great Etsy seller.